Meta4 PeopleNet is completely flexible for companies who want to design their own organization model with the tools provided and view the organization based on the way their work is structured. 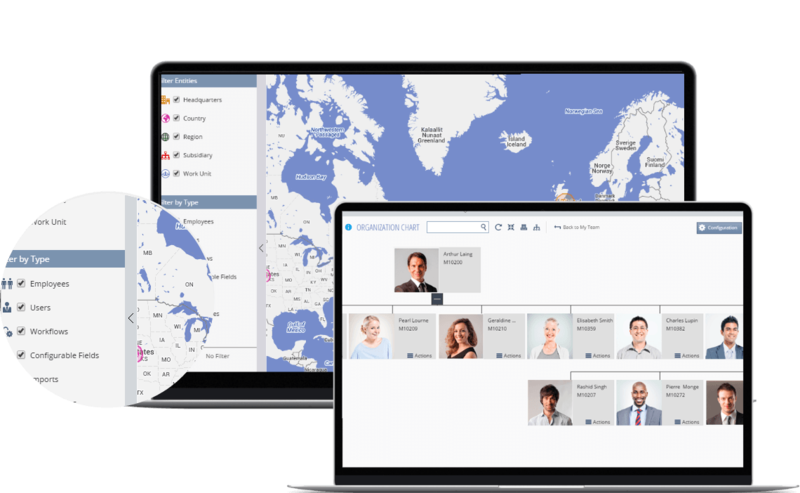 The solution offers total flexibility for designing the organizational model, setting up hierarchical and functional relationships between different members of work groups and dynamically reflecting changes in the way the organization evolves. The solution also enables access to service providers who maintain business activity with the organization. It allows you to enter information on external entities. Personnel Administration in Meta4 PeopleNet is person-centric; it identifies the person as the true protagonist in the organization and acknowledges the individual’s key attributes as the basis for management: the role played, the competencies/skills, and relationships with other people. The global person directory stores information on all individuals that have something to do with the organization. This Meta4 directory is the base for this Personnel Administration module and offers a snapshot of all kinds of relationships an individual may have with the organization. Manage multiple groups or collectives: staff, external partners, retirees, etc. Manage internal mobility of an employee, change in position, role, etc. 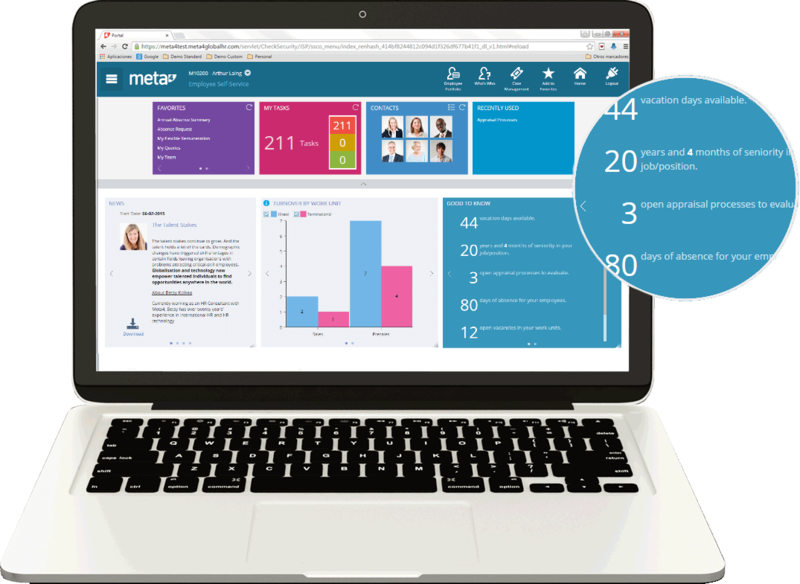 Meta4 PeopleNet is the only solution in the market that offers an HR ticketing system integrated into the software suite of modules available. One of the responsibilities of the HR department is to provide support for all their employees. 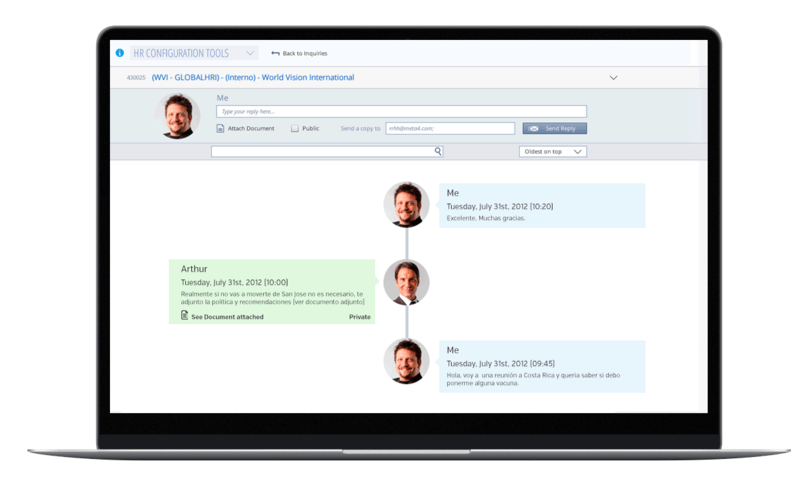 The Meta4 PeopleNet Ticketing module gets employee support issues under control by optimizing and streamlining the service. With this module HR has a means for closer monitoring and tracking of tickets issued for incidences reported by any of the employees in the organization. It enables monitoring of ticket history, location, follow through and resolution of all ticket management processes reported. This is automated and becomes a simple and structured workflow process itself. Controlled responsiveness and prompt resolution of ticketed issues improve the HR department’s productivity and security significantly as well as employee satisfaction. 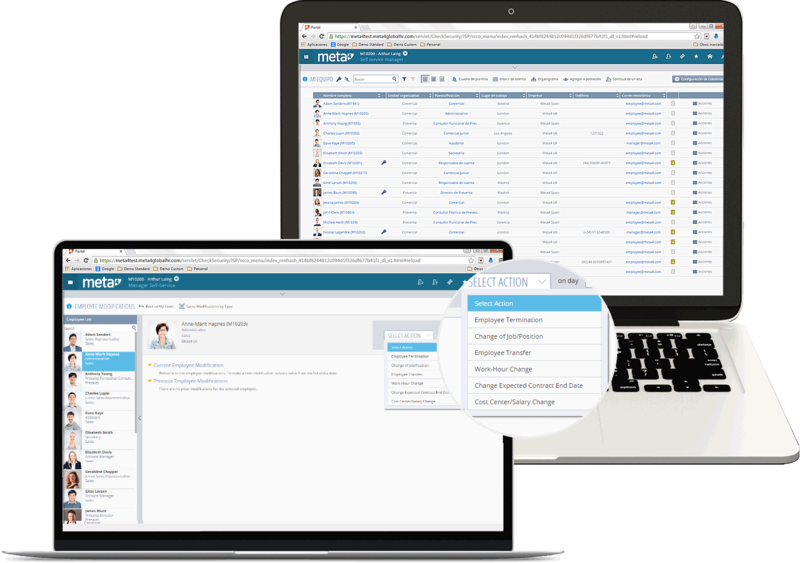 The Meta4 PeopleNet Employee Self-Service and Manager Self-Service portals are efficient tools that improve internal communications and offers better quality service to employees, while improving ties between the company’s managers and employees. This module offers a solution oriented to decentralizing HR administrative processes, favouring increased employee productivity and simultaneously saving costs. It enables both employees and managers to access personal and corporate information anytime anywhere.